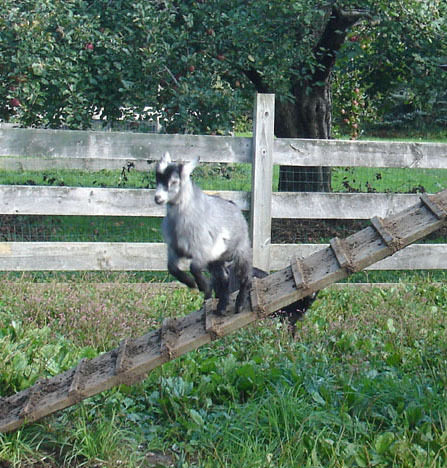 My husband-guy and I both took Friday off from work and we drove out to Honey-Pot Hill Orchards in Stow, MA. We’d been to this orchard once before a couple of years ago and we were in the mood for some apple picking so we drove on out to Stow. Most of the drive is through the backroads of Sudbury, Stow and other towns. We arrive just as they were opening so were able to get parking in the small lot near their shop. 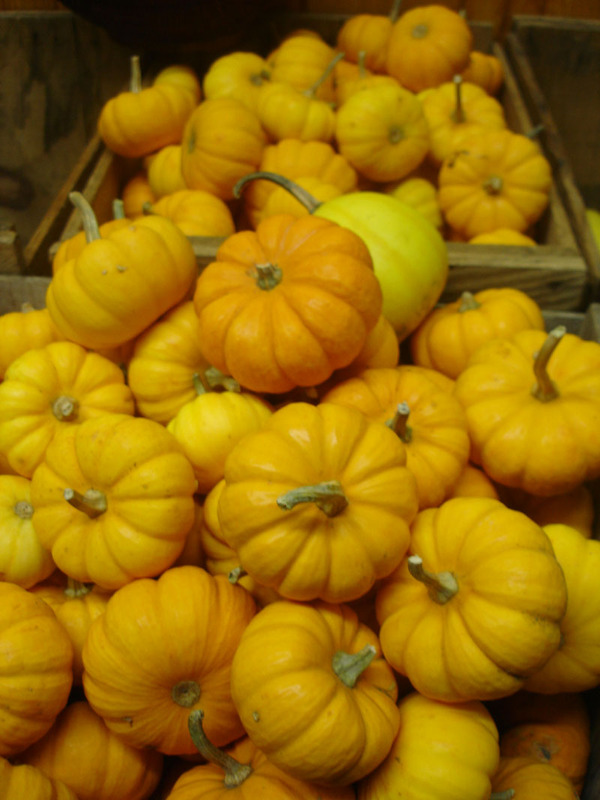 Their small shop sells a variety of pears, apples, pumpkins and gourds along with honeys, jams, cider and other other goodies. Let’s not forget the apple cider donuts that are baked on site. They also have some farm animals in pens near the shop and folks crowd around to feed and pet them. 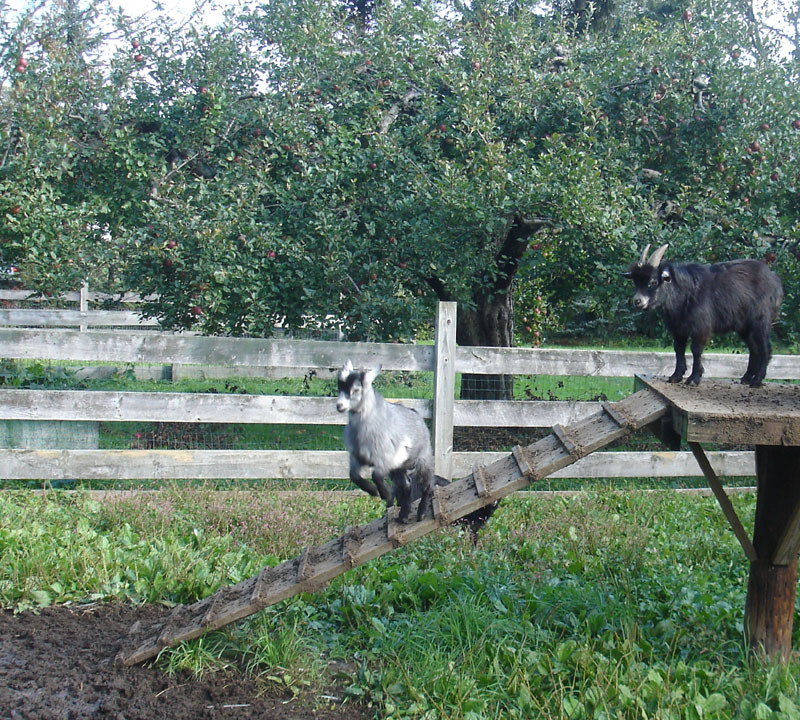 The biggest draw are the goats with their fancy goat fort. We purchased our pick-your-own bags, a small (1/4 peck bag) and medium bag for a total of $17 and headed out to the orchards. That day there must’ve been at least 25 school buses there loaded with kids who looked to be in about kindergarten through 3rd grade. For a brief second I envisioned the entire orchard being overrun by screaming kids and us having to wade through children to find our way to the apple trees. 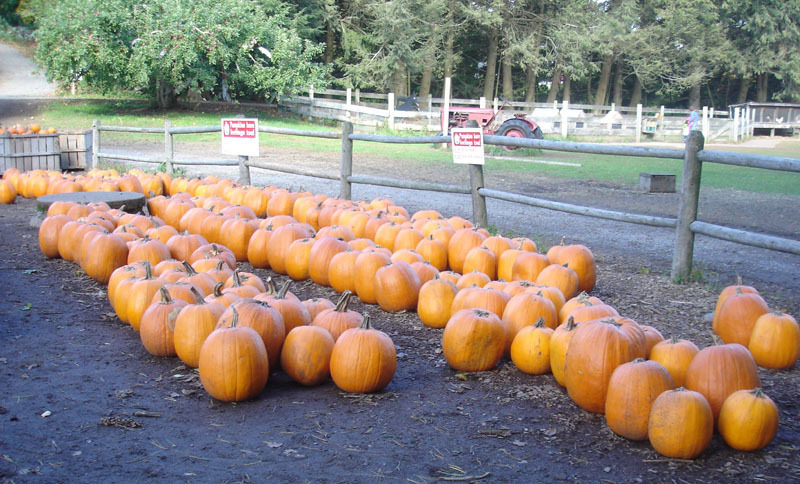 But… they were toting the kids off by hayride to a special section of the orchard just for them, so we were able to pick our apples in relative peace. 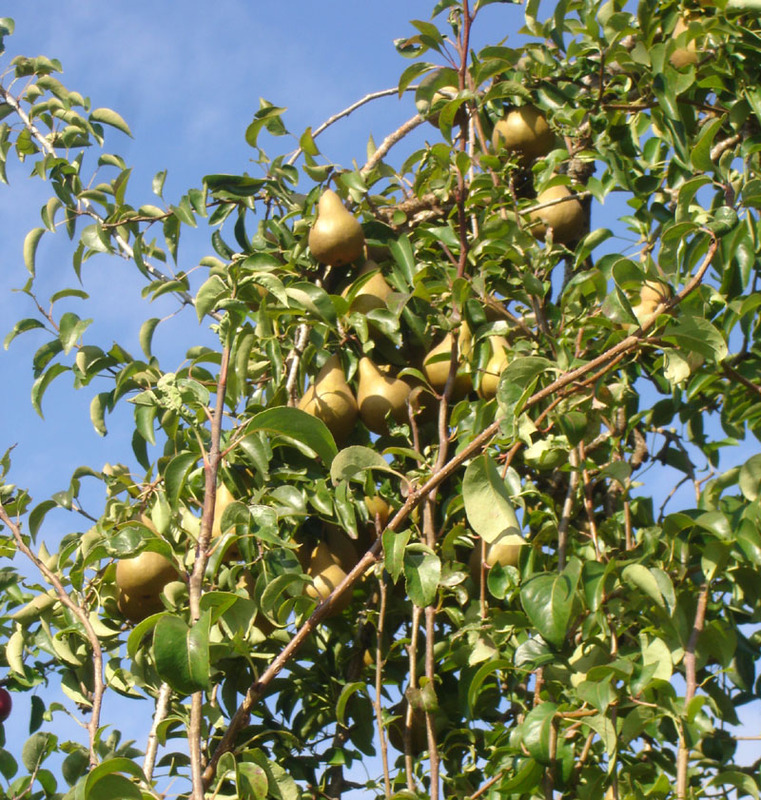 We picked some Bosc Pears and several types of apples: Empire, McIntosh and Red Delicious. 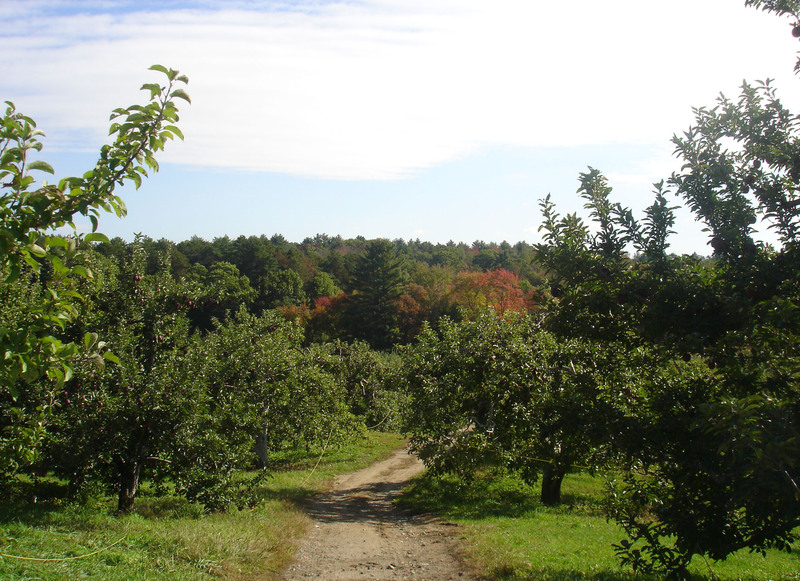 Honey-Pot has over 200 acres of orchards with 12 varieties of apples. They have tractor-drawn hayrides that you can use to get around if you want (after purchasing a ticket)… or you can just stroll along the paths to the different pick-your-own areas. Be warned though: if you go on a weekend during peak apple picking season, the line to park and the line to buy your apple sacks will be huge and the orchards will be a total mob scene. I recommend that if you are going to go, that you go on a weekday. Now, I need to bake some fabulous apple dessert! Last Saturday, Mister Mango and I met up mid-day to go to the Hingham Farmers Market. We picked up some peache and cucumbers and then headed up the road a bit for lunch at Caffe Tosca. It was a gorgeous day, so we sat out on the patio with most of the other patrons. 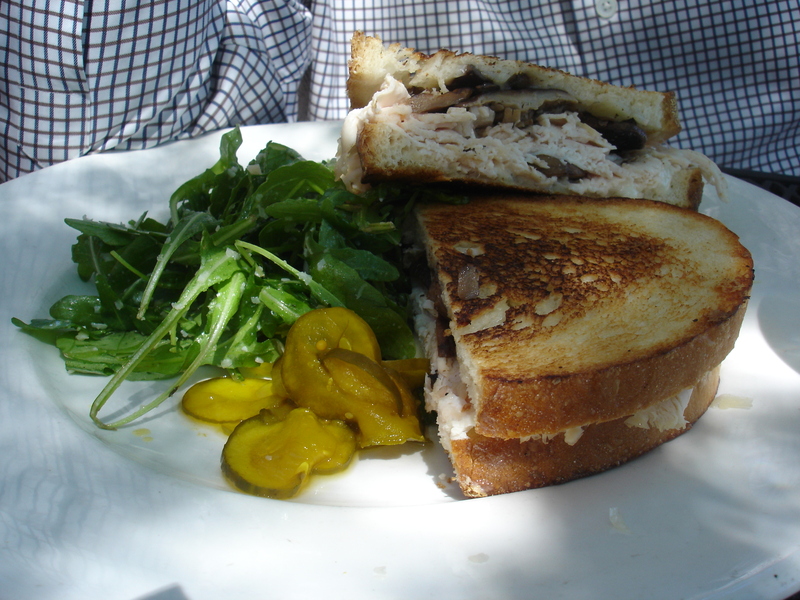 Caffe Tosca only offers their lunch menu seasonally. Caffe Tosca is the sister restaurant of the more upscale Tosca, which is directly across the street. Caffe Tosca serves country Italian food. Their lunch menu contains a selection of soups, salads, pastas, sandwiches and a few entrees.